A very attractive design, and slightly different too. 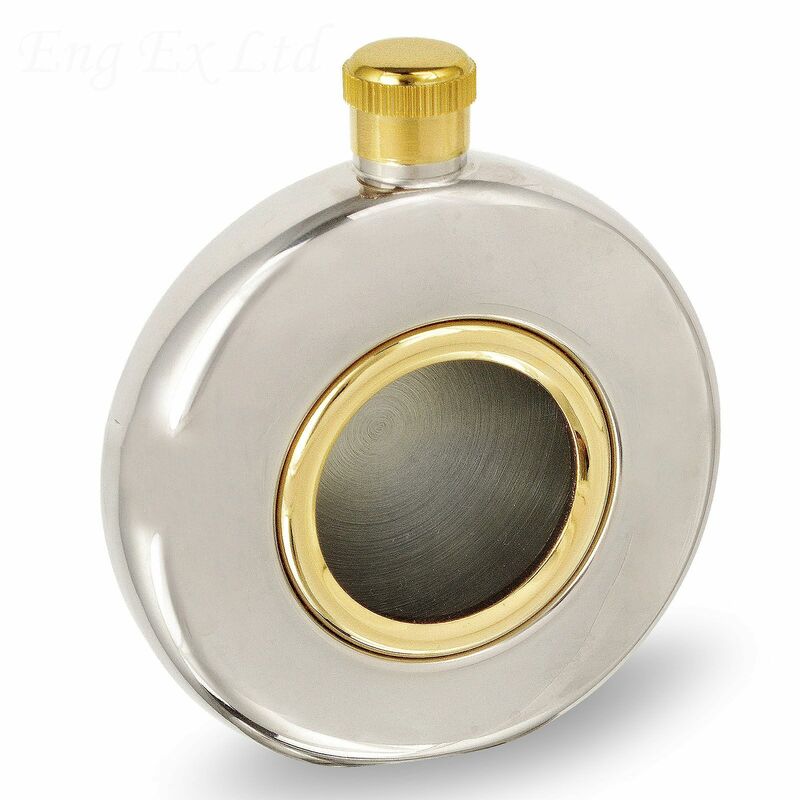 Ideal if you're looking for a hip flask but want something that will stand out. 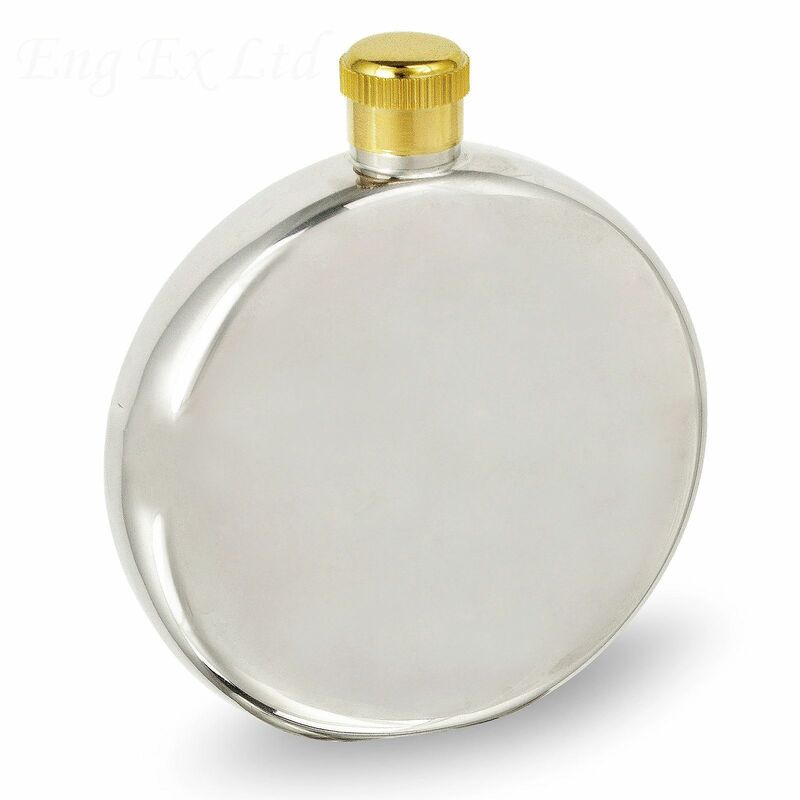 The recipient of your gift is sure to be delighted to receive this special hip flask. The front of the flask has a clear window so you can see how much drink is remaining. Gold Coloured Lid and Window Trim. You get free engraving on this hip flask making it an ideal gift for birthdays, weddings, father's day etc. Shipped by first class post to ensure a speedy delivery.